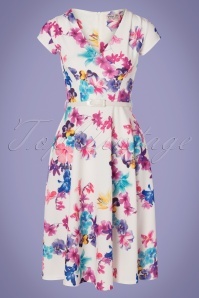 New spring/summer collection ~ "I must have flowers, always and always." 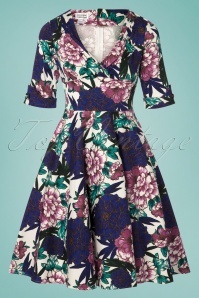 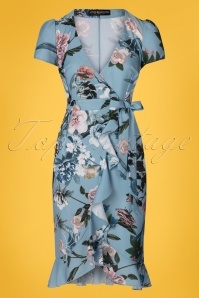 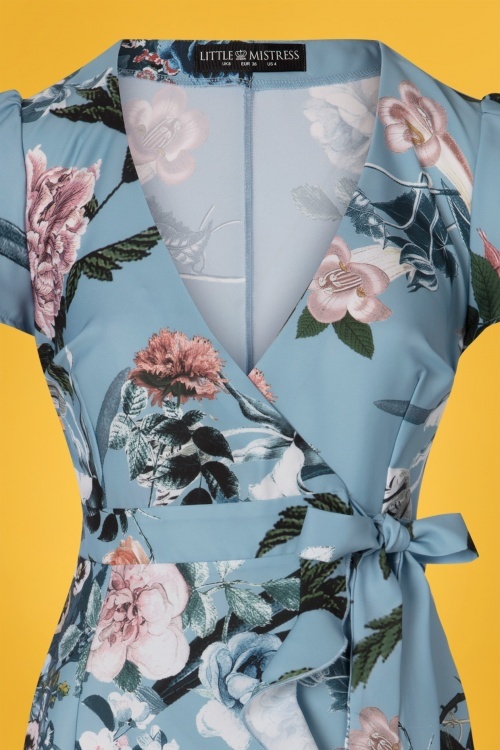 And for style that blooms at every occasion, our 50s Rori Floral Wrap Dress in Blue is the perfect choice! 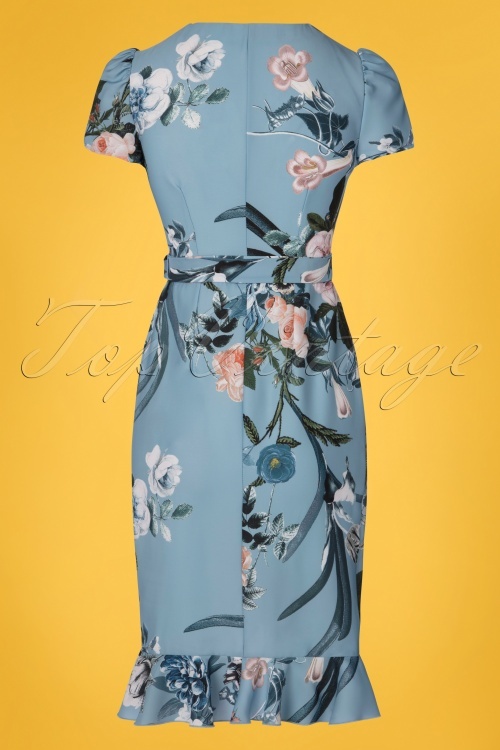 Made of a light and breezy, sky blue fabric with a gorgeous floral print, she is a wonderful dress to wear on those warmer days. 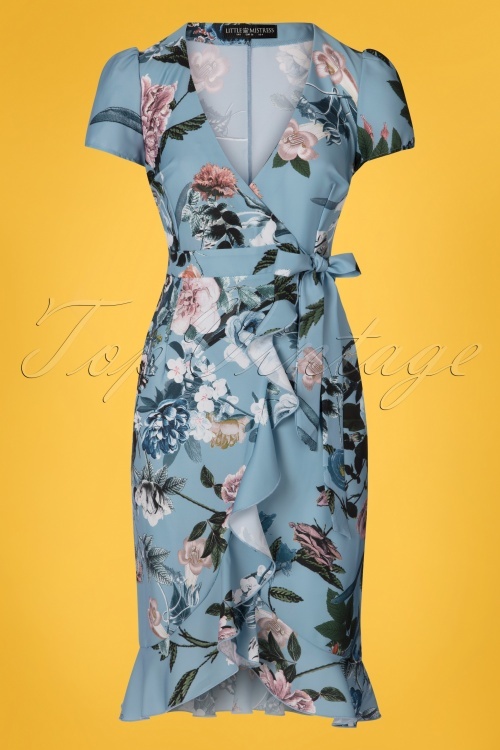 The fabric has no stretch, but thanks to the adjustable tie straps she will fit almost every figure. 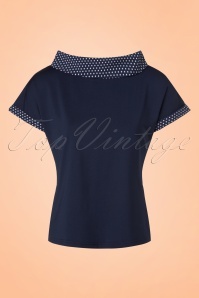 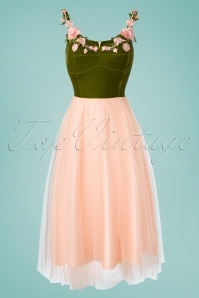 She features cute short sleeves, a deep V-neckline and flows into a fitted skirt with a romantic ruffle. 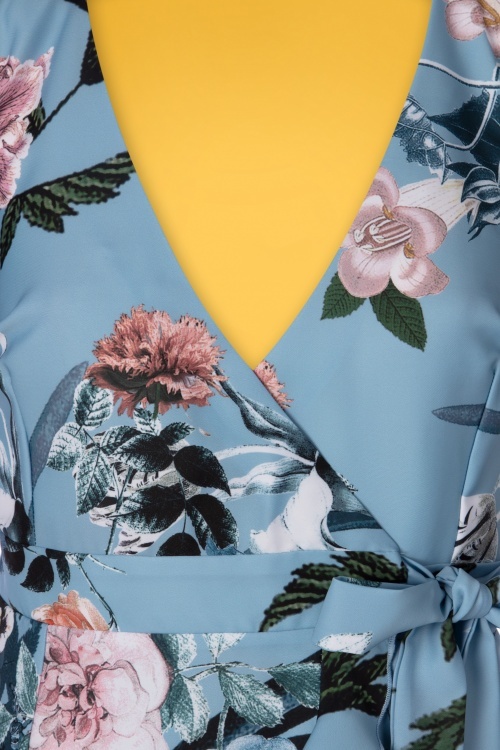 When in doubt, wear flowers!